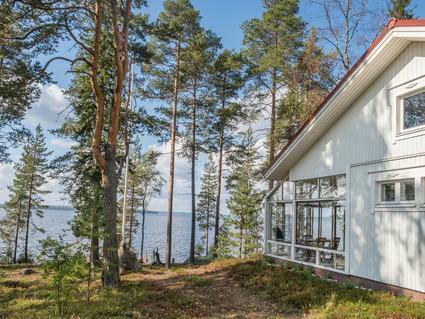 This separate holiday home was completed in 2005 in the vicinity of Holiday Club Katinkulta. 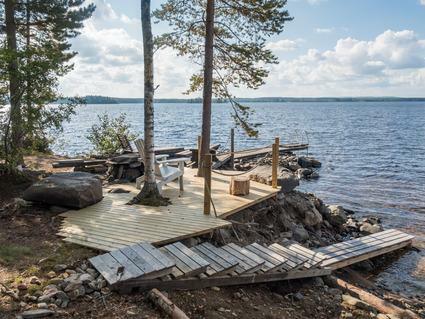 That located close to lake Nuasjärvi, own beach. Floor area 116 m². Kitchen, dining area and livingroom. Bedroom with own bathroom. In bedroom is twin bed for two persons. Beside the livingroom is room where is two persons sofabed (160 cm wide). 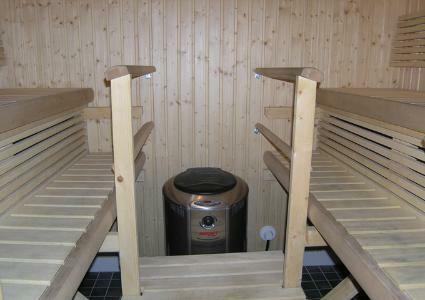 Small bedroom with bunk bed for 2-3 persons (only for childrens) Shower, sauna (electric heating) and separate toilet. Glazed terrace. Note: bed places only for 4 ADULTS and max 3 childerns. For week price includes bed linen for 4 persons! 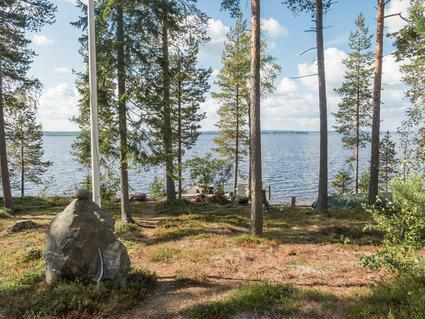 Holiday apartment located near the Spa Holiday Club Katinkulta, beside the golflinks. Beach is rocky, own boat. 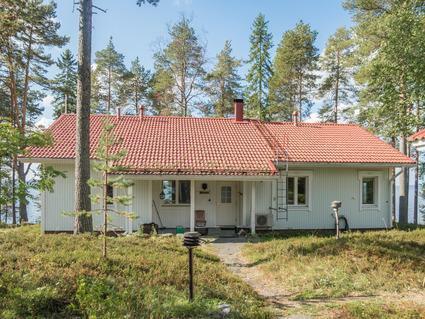 Kajaani 35 km, Sotkamo 8 km, Vuokatti slopes 3 km, skitrails 50 m. Price includes final cleaning. NOTE: A mandatory fee for bedclothes will be added to the rent in the case of all bookings. No pets allowed. Price does not include linen, always added to the reserve linen indicated the number of persons.